Allergies are one of the most common diseases experienced by Americans. In fact, as many as 85 million people in the U.S. suffer from allergies. Airborne allergens and other particles can land directly on the surface of the eye, causing irritation and redness. Although tears constantly wash the eyes, they can’t always keep out allergens like pollen or pet dander. Those who have ocular allergies know that they are a major source of discomfort. They can contribute to eye dryness and other eye discomforts, such as itching, redness, swelling and watering. But beyond being annoying, ocular allergies may be very disabling. Allergic symptoms often interfere with everyday activities, such as reading, working on a computer, driving, and playing sports. Allergic eye symptoms may be seasonal, usually in the late spring or fall when pollen counts are the highest. 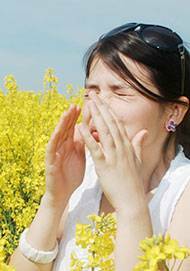 This is common in persons with allergic rhinitis, asthma, and eczema or hay fever. Up to 80% of hay fever patients may have allergic eye conditions. Ocular allergy occurs when histamine is released from mast cells. The symptoms include burning, itching, and watery discharge that is often white, thick and ropey. These symptoms are often accompanied by nasal discharge and other allergic symptoms. Allergies can’t be cured, but they can be alleviated to a large extent. For itchy allergy eyes, eye drops work faster than tablets and don’t overmedicate by treating symptoms you don’t have. Ask our doctors at Vision Care Consultants about which fast-acting eye drop for itchy eyes that will work best for you.